Two suitcase wheels rolled steadily behind Noah yesterday morning as he walked down the hill towards his school. He was on his way to meet up with the rest of his Grade 8 classmates, and to board a bus that would take them all to a three-day retreat at a beautiful forested property about an hour from home. This journey has long been one of the highlights of the students' final year at our elementary school, and Noah and his friends, who have already come a long way together since their days of crayon drawings and sweet gap-toothed smiles, were very much looking forward to it. I've thought often about Noah throughout the past twenty-four hours, wondering what kinds of fun activities he might be involved in, and it's made me happy that these young men and women have an opportunity to learn about themselves and each other through the experiences the retreat provides. They're at a pivotal time in their lives; in only a few months, their long-familiar routines of sharing classrooms and lunch hours and inside jokes will come to an end, and many of these peers will inevitably drift apart from each other as diverse interests and education choices and life goals send them each exploring different paths in the coming years. It seems right that they should have these days set aside to connect with each other in a meaningful way, and make memories they will carry with them long after their elementary school days have passed. Transitional times like this year make me keenly aware of the ever-turning motion of life. 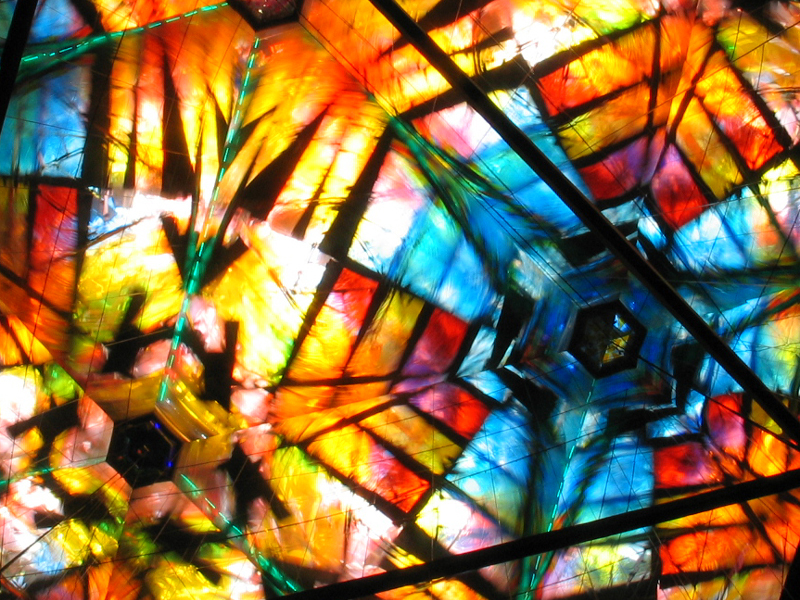 It's as though a human lifetime is a kind of kaleidoscope, with each shift creating a fascinating new pattern to study and enjoy. The people we get to know at each phase add colour and beauty in their own special ways; they allow us to see ourselves and our world from different perspectives. We cannot recreate the old patterns again once we've made another turn and moved on from them (though sometimes we'll long nostalgically for what we loved most about them), but each vivid impression creates freedom for the next one to unfold. It's these forever changing combinations of colour that give life its rich complexity. Noah and his friends likely won't realize any of this as they share their retreat experience together. They are young still, and can't yet understand the many turns their lives will take as they grow. Right now, what I hope for them is that they're having a wonderful time. May they some day look back, as I do now, with fondness and gratitude for the unique individuals who shared this part of their lives.